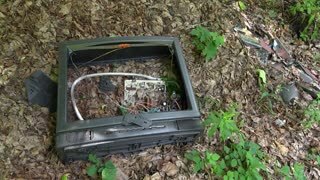 Search Results for "abandoned tv"
Tv Vintage Analog Abandoned Houses. 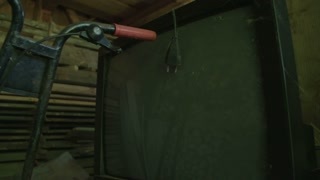 A retro vintage TV showing a VHS tape with recordings of an abandoned house (cracked walls, collapsed rooms, a spooky location). Noise Fx Abandoned House Anarchy. Noise distortion fx tv transmission: the interior of an abandoned house, with the anarchy symbol drawn in red on a wall. United States: 1970s: car abandoned in flooded street. Water pollution after floods. Hand collects water from contaminated pipe. Lady cleans fridge. Man fills car with gas. Children watch TV. Child holds cup. Electronic waste collection point. Electronik junk. Recycling. 80s Television With Green Screen On a Lagoon Background. Surreal Image. Dolly Out. Ready to Replace Green Screen with any Footage or Picture you Want. You can do it with “Keying” (Chroma Key) Effect.